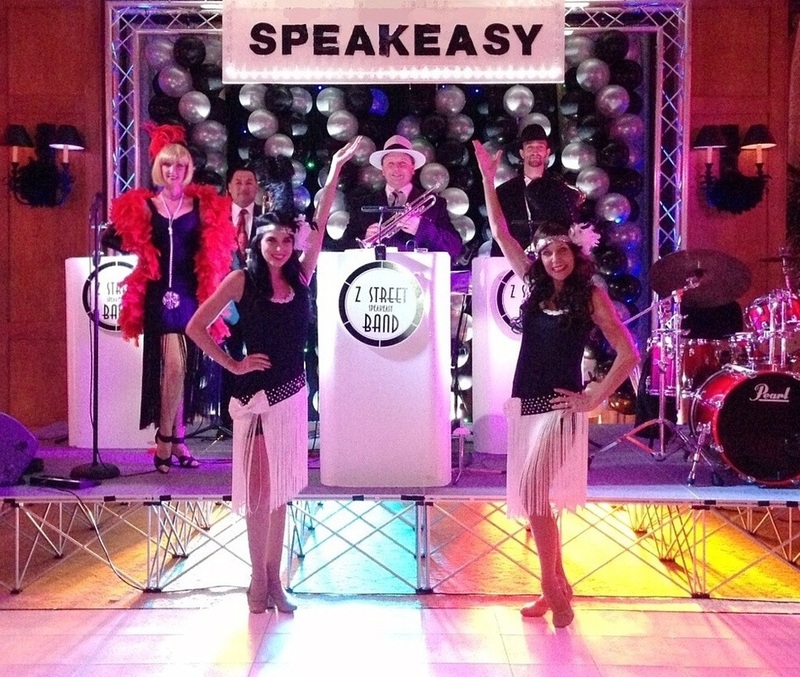 ​the Z Street Speakeasy Band has it covered. 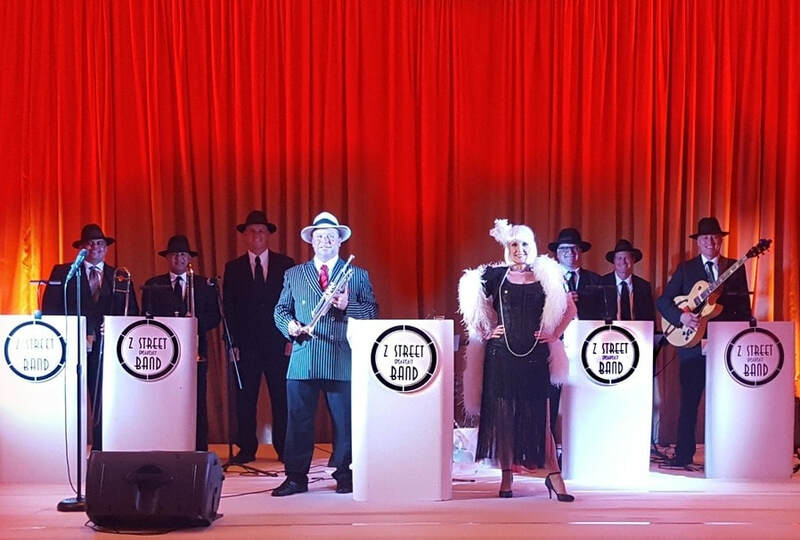 Prohibition, USO, Big Band, Casino and Rat Pack themes. The Z Street Speakeasy Band features male and female vocals, horns & rhythm. 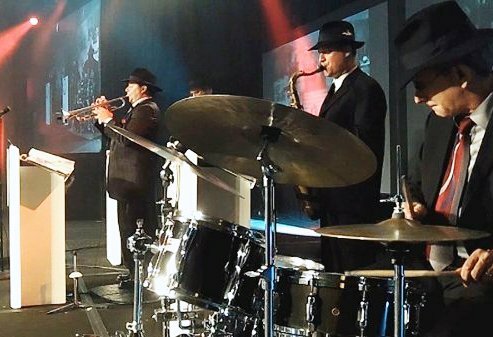 ​20's, 30's and 40's music if you prefer. 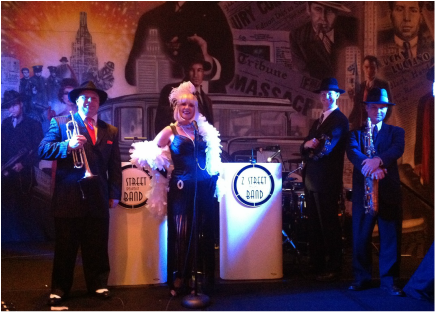 ​The musicians in the Z Street Speakeasy Band are professional Walt Disney World musicians. 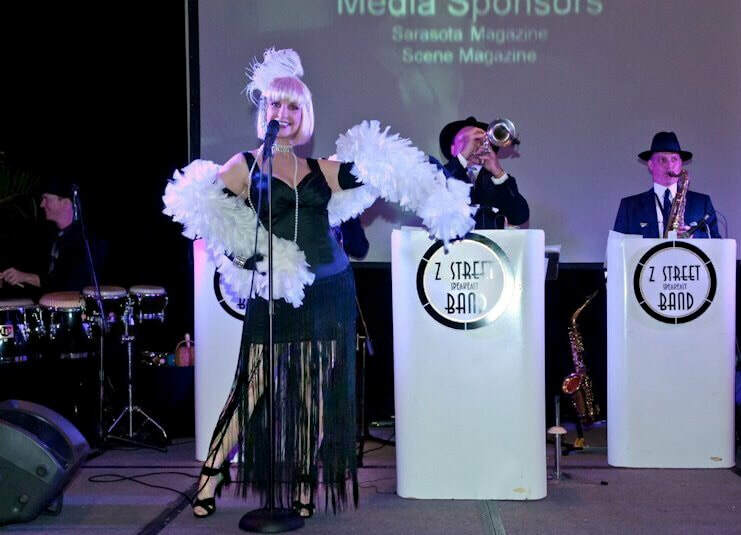 The Z Street Speakeasy Band carries Multi Million Dollar Liability Insurance which most venues require. 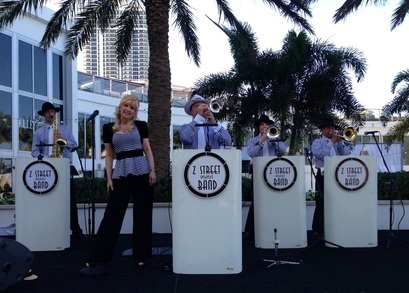 The Z Street Band is located in Orlando, Florida and travels throughout the United States. 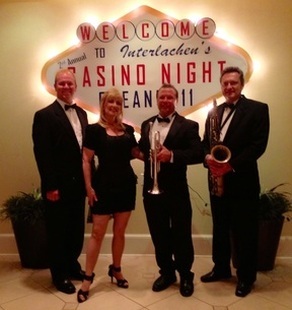 FULLY INSURED ﻿AND ES﻿TABLISHED IN 1998. 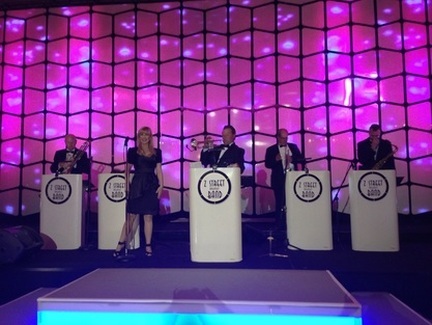 Boogie Woogie, Swing, and hot Jazz as you can see on their extensive song list. ​The band is dressed in stunning hand made reproductions of attire from the 1920's to the 1940's. 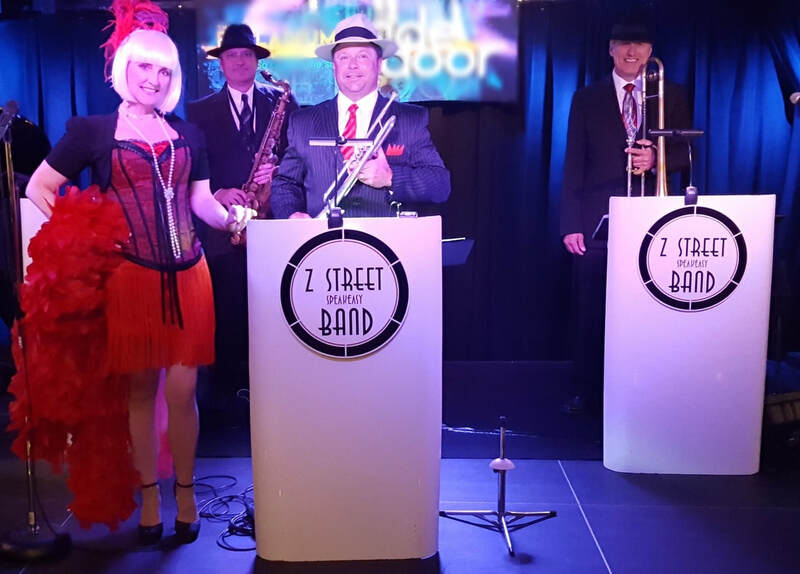 The Z Street Speakeasy and Gatsby Band in Orlando, Florida. 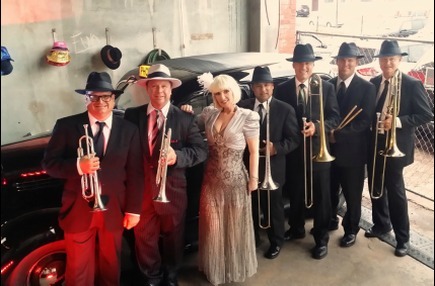 Performing Jazz, swing and roaring 20's, twenties music for Old Hollywood theme events and Oscar theme parties. 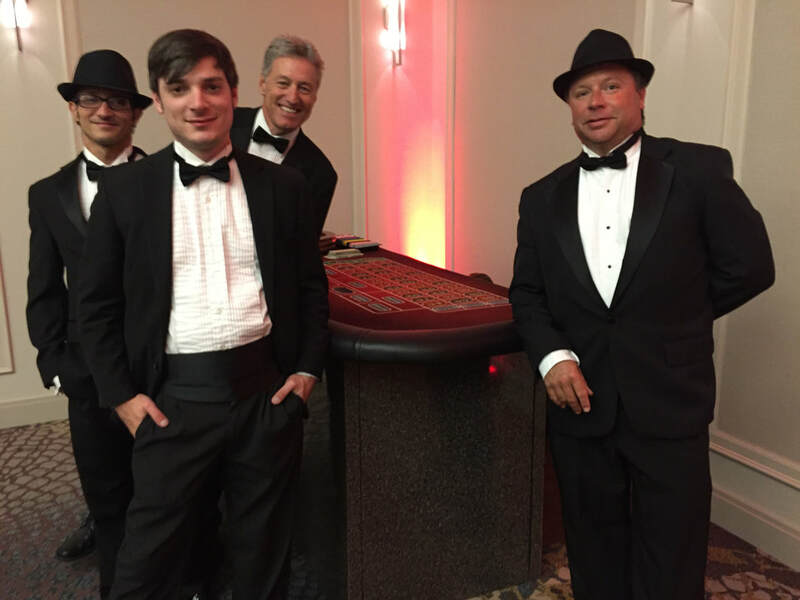 Additional themes include prohibition, Casino Parties, Rat Pack and vintage theme entertainment.